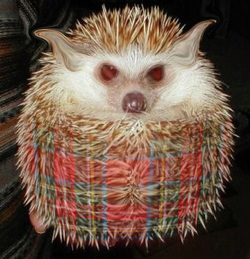 Hunting Wild Haggis is currently illegal without a proper licence but many enthusiasts will search for Haggi for photographic purposes or to take them to a protected reserve. Licence is granted for catching Haggi that have migrated to urban areas or to cull where the clan is overrunning. Haggis season is from Oct 1st to Jan 25th and the first weekend in March. The best bait for Haggi is Irn Bru flavoured Highland Toffee. Edinburgh Rock is quite good but tends to give the Haggi an upset stomach and terrible gas!